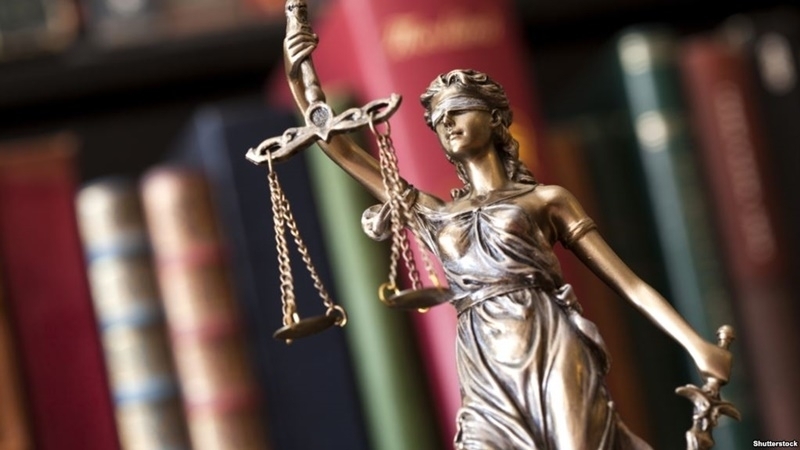 The Association of Constitutional Justice of the countries of the Baltic and Black Sea regions (BBCJ) recognized the judges of the Constitutional Court of the Russian Federation responsible for creating the prerequisites for the annexation of the Crimea, according to the statement issued by the Association of Justice. "There can be no greater discredit to the constitutional justice than the adoption by judges of a knowingly criminal nature, resulting in the destruction of international order and thousands of victims… Reiterating the position expressed in a resolution adopted at the 2-nd Congress of the Association to condemn the use of constitutional justice for the internal legalization of grave breaches of international law," the BBCJ noted. 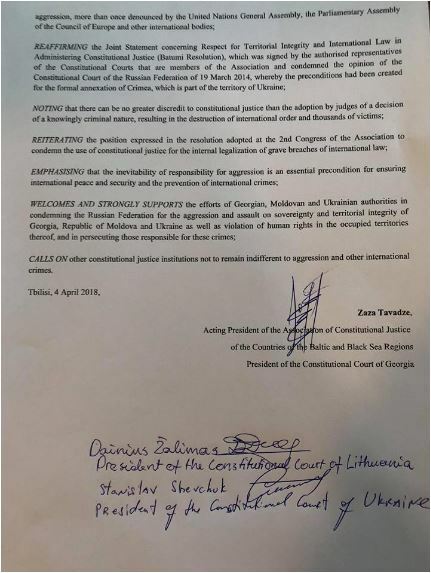 The document says that the BBCJ is informed that the Prosecutor General's Office of Ukraine opened criminal proceedings against judges of the Constitutional Court of the Russian Federation for aggression against Ukraine. Furthermore, the Association considered the Declaration of the Moldovan parliament on the withdrawal of Russian military from the territory of the country. 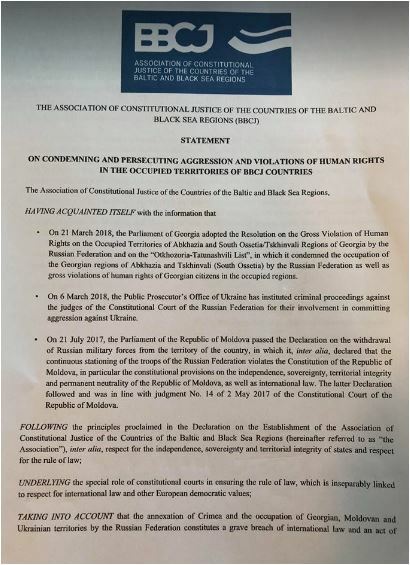 The Justice Association recognized that the occupation by Russia of the territories of Ukraine, Georgia and Moldova is a violation of international law and an act of aggression. "BBCJ welcomes and strongly supports the position of Ukraine, Moldova and Georgia authorities in condemning the Russian Federation for the aggression and assault of sovereignty and territorial integrity of Georgia, Republic of Moldova and Ukraine as well as violation of human rights violations in the occupied territories thereof and in persecuting those responsible for these crimes," the document says. Earlier, the German member of the European Parliament Elmar Brok said that the recognition of the annexation of Crimea by Russia can be dangerous for the whole of Europe. Brok stated that the territorial integrity of the country cannot be violated "from tactical considerations", since it breaches the Helsinki Act, the Budapest Memorandum and other documents. And the parliamentary delegation of the Turkish Grand National Assembly confirmed the position of its country about the non-recognition of the annexation of Crimea by Russia.